What Are Move Over Laws? We here at Jaguar Tulsa fully understand that safety is your highest priority. That is why we want to be sure that you are aware of what Move Over Laws are. 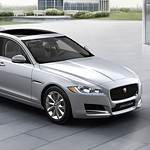 If you are looking for a mid-size luxury car, the Jaguar XF is one of the best models in its class. At Jaguar Tulsa, it is important to our team that we keep our consumers informed about our vehicles, so you can check out a few of the Jaguar XF's technology features below. 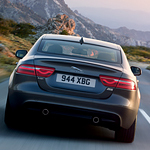 The Jaguar XF offers superior sound quality. The standard Meridian 380W Sound System offers 11 speakers, and the optional Meridian 825W Surround Sound System comes with even more perks. These audio systems use advanced audio technology and strategic speaker placement for optimized sound quality. Are you in the market for a luxury performance sedan? If so, our team at Jaguar Tulsa recommends the Jaguar XE. This sedan is popular with consumers because it is versatile and comes with several interior features that enhance styling, comfort, and convenience. The wide range of interior options let you choose between modern or traditional finishes and materials. Read further to learn about a few of its interior features. 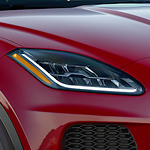 Here at Jaguar Tulsa, we know how important criteria such as power, performance, and handling are to customers in the market for a new vehicle. It is for this very reason that our staff members so often direct our friends and neighbors in Tulsa toward the new Jaguar E-PACE. Not only is this popular compact SUV extremely stylish, but it is packed full of superb performance options. 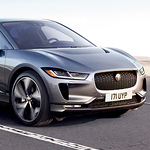 Jaguar offers drivers a new all-electric vehicle, the I-Pace, an eco-friendly car with an expansive driving range, impressive performance and plenty of comfort in the cabin. Travel up to 234 miles between charges thanks to the powerful lithium-ion battery that rates at 90 kWh. Using the air conditioner or heater can lower the range estimate, but the I-Pace can pre-warm or cool the car while it is still hooked up to its power supply, meaning that the bulk of the power it will use to regulate climate control doesn't drain the battery. You always remember your first Jaguar. The distinctive body shape, sleek catlike rear lights, the buttery leather interior, all draw to mind a memory, a feeling of sheer giddiness. Fall in love all over again with the new Jaguar XJ. The elegant, elliptical body shape is reminiscent of a 1973 Shelby, but the wide, low slung body is all classic Jaguar. When you drive an SUV, it is important that you have the proper tires to help keep you safe during the winter months. Choosing the right tire for your vehicle will also provide optimal driving performance during the colder months. If you want to maximize snow and ice traction from your winter tires without having to use winter tire studs, light truck/SUV studless ice and snow tires are an ideal option. Whether you are a truck owner or an SUV, this option will provide you with convenience and enhance your driving experience. You need to do what you can to care for your car in cold weather just as you need to throughout the year. 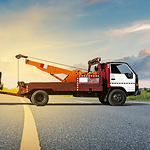 There are certain things that you should pay attention to when the weather is colder in order to keep your vehicle in good shape and in order to stay safe in that vehicle. By definition, whenever you are shopping for a mid-size luxury car, the first thing you notice about it is the exterior. The Jaguar XF certainly lives up to its reputation in that particular respect.